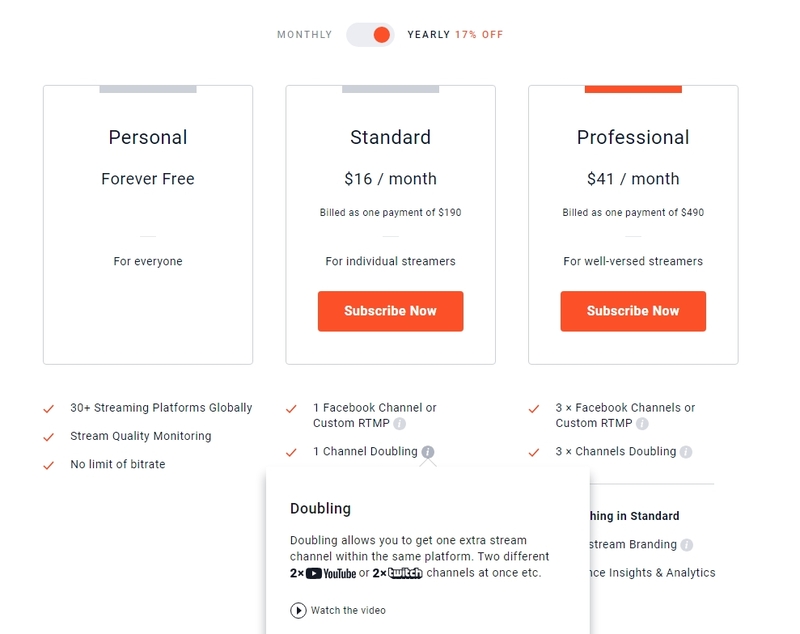 Doubling is a special feature that allows you to add few (or many) channels of the same platforms, like two Twitch channels at once or two YouTube channels, or you can even get three and four if you need. When you decide that you need Doubling just get it on the pricing page. Number of Doubling channels included into our Plans. Quantity represents the number of channels - 1 will allow you to add 1 more channel of the same platform. Tip: If I need 2 more YouTube and 1 more Twitch I will need 3 Doubling channels. Once you have purchased one of our paid subscription by using Doubling you can easily connect a duplicate channel using the "Add Channel" button on the top right of your connected channel listings. 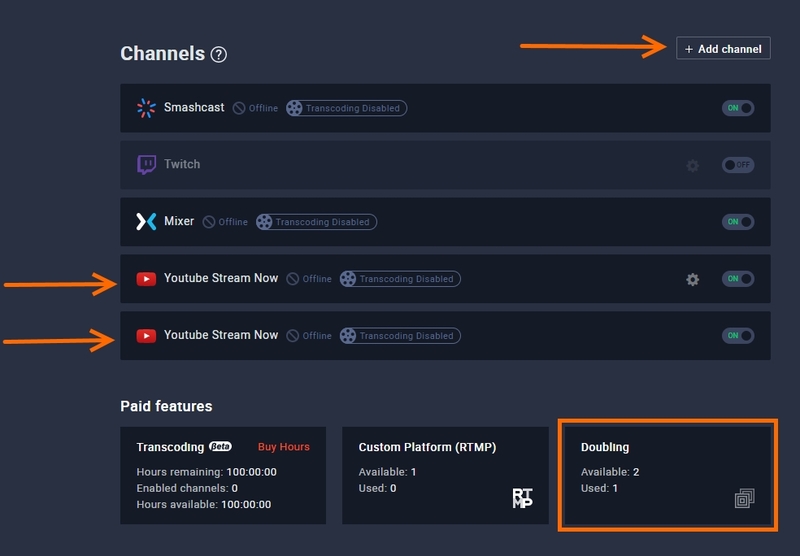 Bellow the list of your channels you will have a section which will display how many available Doubling channels you have and how many is used. So with Doubling, you can easily setup more than 1 channel of the same platform and multiply your audience there.